1. Sauté the celery and onion in 1 tablespoon of butter and 1 tablespoon of canola oil in a skillet until tender. 2. In the same pan, add the crumbled garlic bread, cheddar cheese, parsley, Dijon mustard, garlic and onion powder. 3. Melt the teaspoon of butter. In a well-greased square dish, place two of the fillets in the bottom and brush with the butter and then season with salt and pepper. Top with stuffing and cover with the remaining two fillets. Brush with butter and season again with salt and pepper. 4. Bake for approximately 30 minutes or until the fish flakes easily with a fork. 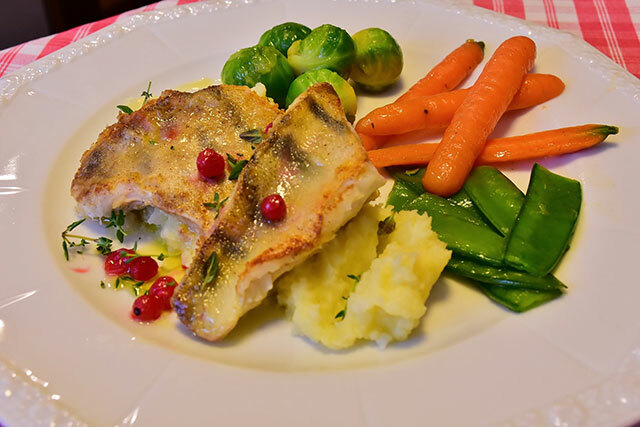 For more fresh walleye recipes, please visit MissHomemade.com.